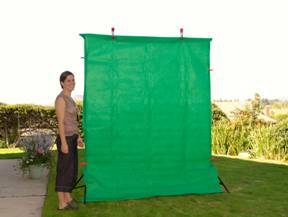 This document will attempt to explain the basic concepts of green screen photography. Like many things, the principle behind the magic is simple, but the details can become very complicated. 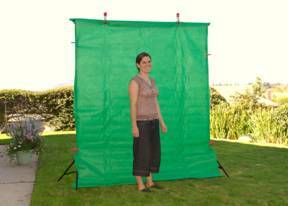 We’ll introduce, in this page, the concept of green screen photography, followed by some examples of use. In this example we are taking advantage of the outdoor ambient light to make lighting the screen as inexpensive and simple as possible. 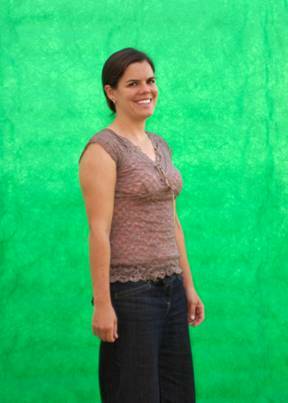 The person to be photographed will stand in front of the green screen, as shown in this image. 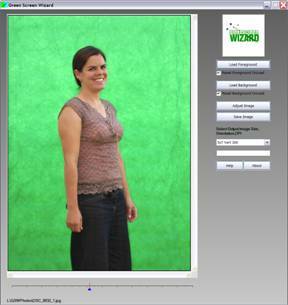 Of course we don’t want the screen to show in our final photo, so we use our camera to zoom in, or we stand closer to the person being photographed, so the frame is filled with a green background. The picture is then moved from the camera to the computer. Now we can start Green Screen Wizard. In green screen photography, we have the foreground image, which in our case is the picture of the husband and child. And, we need a background image that will replace the green portions of the foreground image. So the first thing we need to do is load our foreground image. So we press "load foreground" and find the desired foreground image using the open dialog. 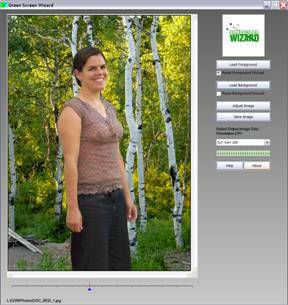 Once we find the image, we load it into Green Screen Wizard by pressing "ok" and now the foreground image is loaded. By default the wizard will replace the green in the photo with a ocean background. We load a background image by pressing "load background". This brings up another open dialog and we can select any background image we like from the professional background images sold by Elegant Digital, or your own favorite photos. We’ll select a photo of an aqueduct in Mexico. 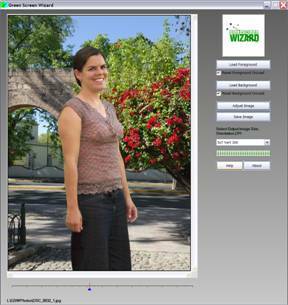 Pressing "ok" brings the background image into Green Screen Wizard, and also tells Green Screen Wizard to merge that background with the foreground. That’s all there is to it! All the areas of the foreground photo that were green, are replaced by the background image. We will learn in later chapters that for the picture to look realistic, the Green Screen software must deal with subtleties such as thin hair that lets some of the green through, shadows or wrinkles on the green screen itself. But for now, simply thinking of all the green areas being replaced by the background image is the essence of green screen photography. Let’s try another background. This time we’ll merge trees with the foreground by pressing "load background" and selecting another background. Now we’d like to save our image. 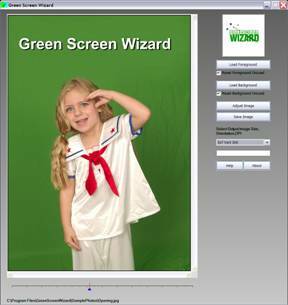 Click "save" and Green Screen Wizard will bring up the save dialogue so you can save the image into the computer. So why do we want to do this? Well for one thing, it’s fun. 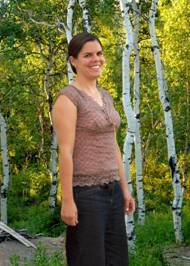 It allows you a flexibility that was unheard of even a few years ago. You can put your subject in any background you choose. This gives you tremendous artistic control over the final image.